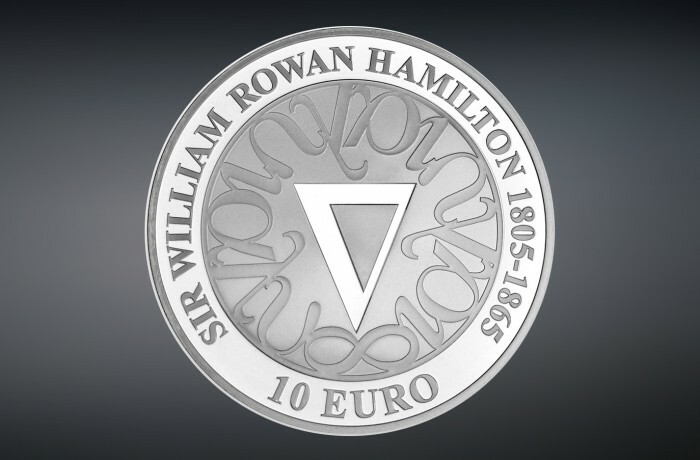 William Rowan Hamilton is one of Ireland’s most accomplished scholars and mathematicians. The 200th anniversary of his birth was commemorated here with a design referencing the mathematical symbols used within Hamilton’s extraordinary work. This was Michael Guilfoyle's first coin design for Ireland.